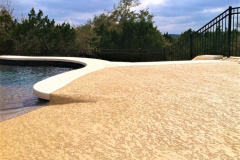 There are so many materials available today that can enhance a concrete pool deck, patio, or driveway. 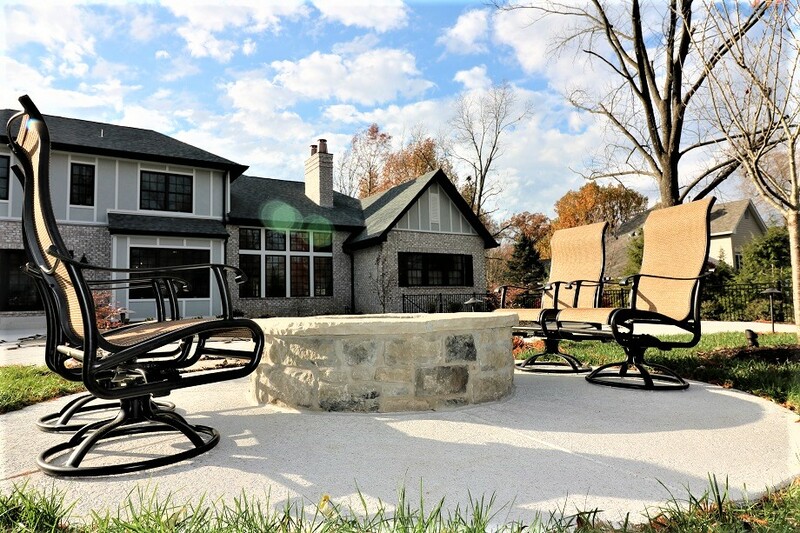 Brick and natural stone are among the most popular. 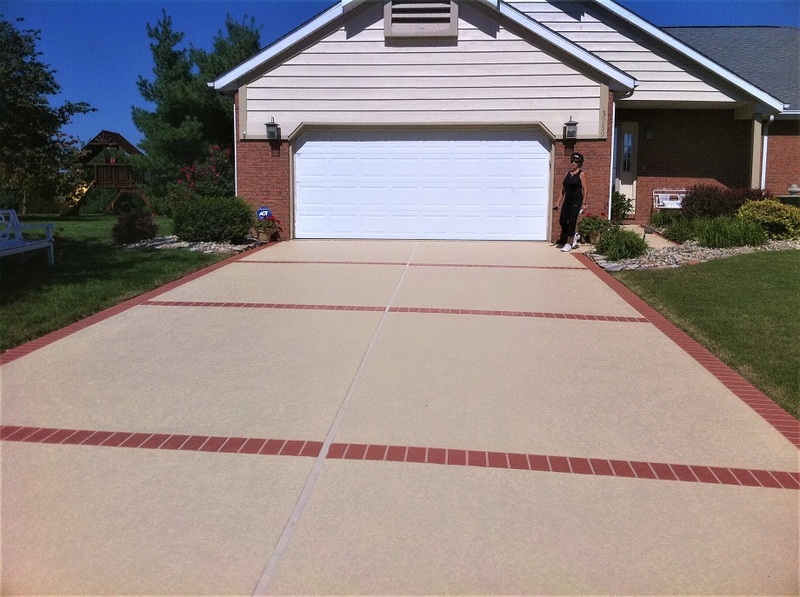 The gorgeous look and durability of these materials come with a price, of course. 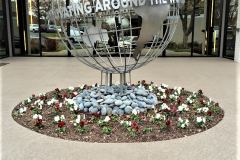 While these are the most ideal, not everyone can afford it and not everyone the type of look they create. 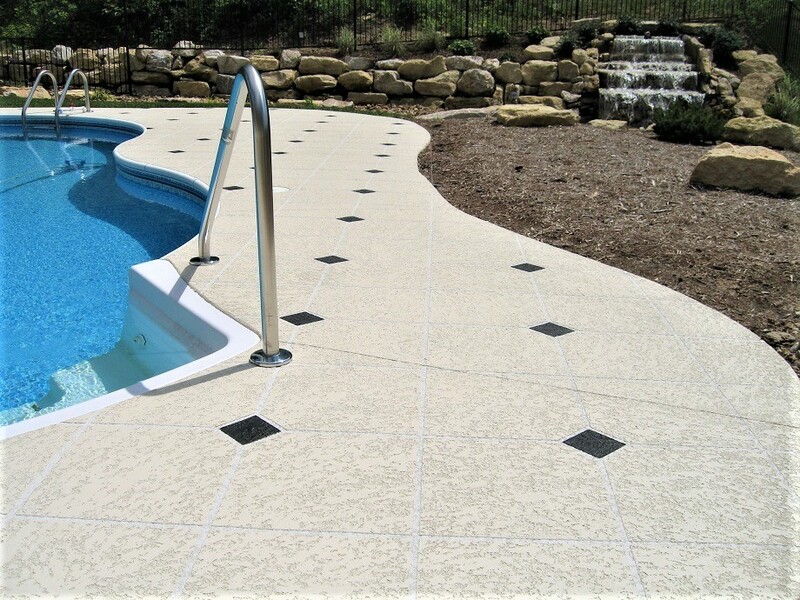 There are also so many highly decorative and intricate patterns and designs to choose from that choosing a specific one can be quite challenging. If this is not your thing and you want something subtle that provides just as much impact on anyone who sees it, then a spray knockdown finish is for you. 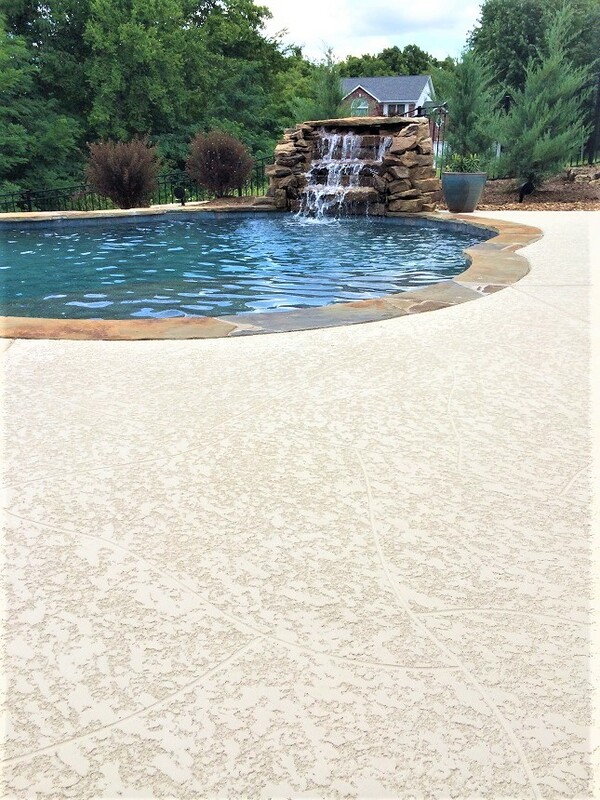 You can rest assured that you will acquire decorative surfaces that provide a less intense but still breathtaking appeal. 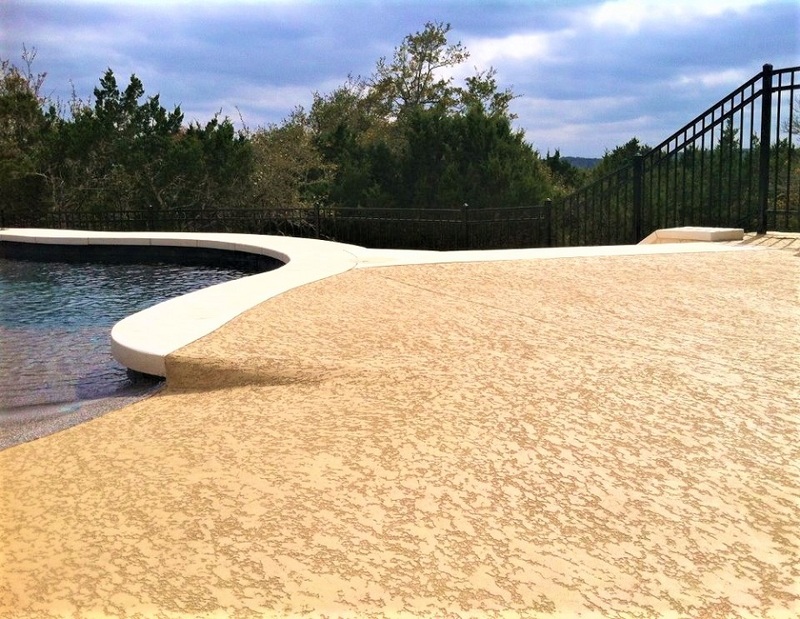 Spray texture is a pool deck resurfacing option that is sprayed on a concrete slab instead of poured and spread with a roller brush. 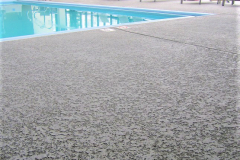 Using a hopper gun, the coating is sprayed causing splatters of the material on the concrete slab. 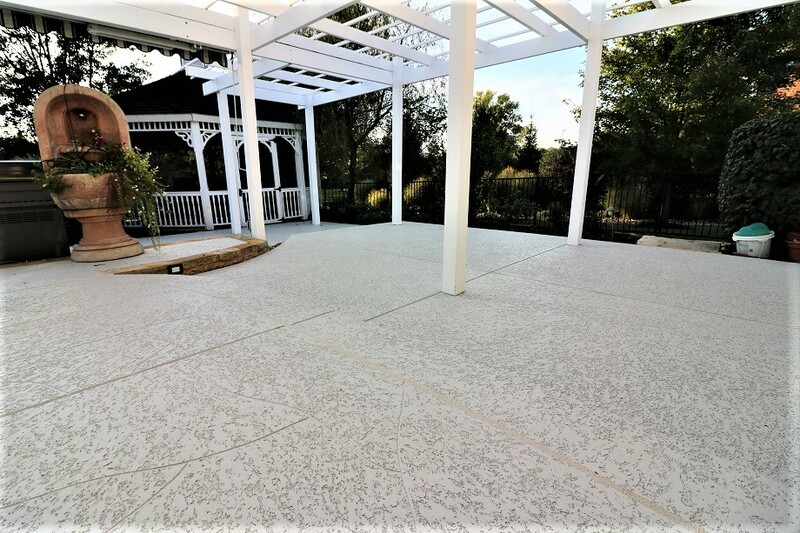 These splatters are then knocked down with a trowel, creating an interesting texture that is somewhere between an orange peel and a popcorn texture. 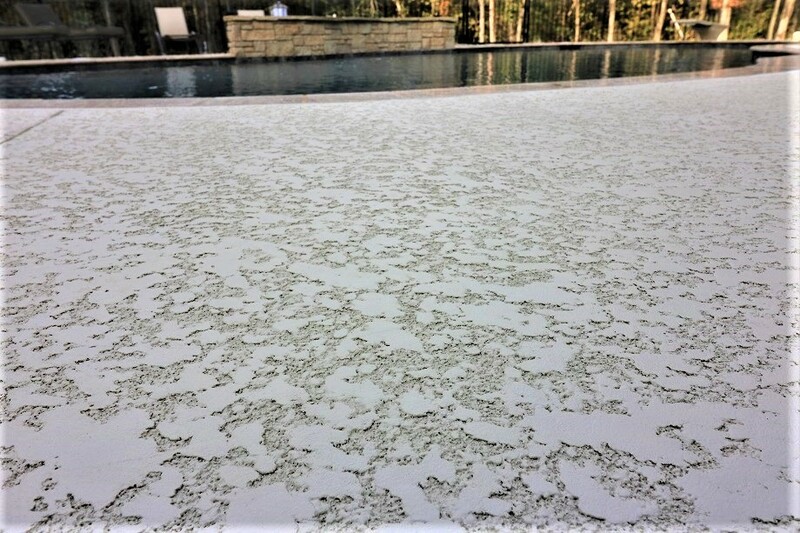 This coating is absolutely slip-resistant, thanks to its unique texture, making it one reason why it is ideal for use on pool decks. 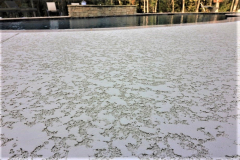 It has a cool feature that keeps the surface literally cool despite long exposure to heat and sunlight. 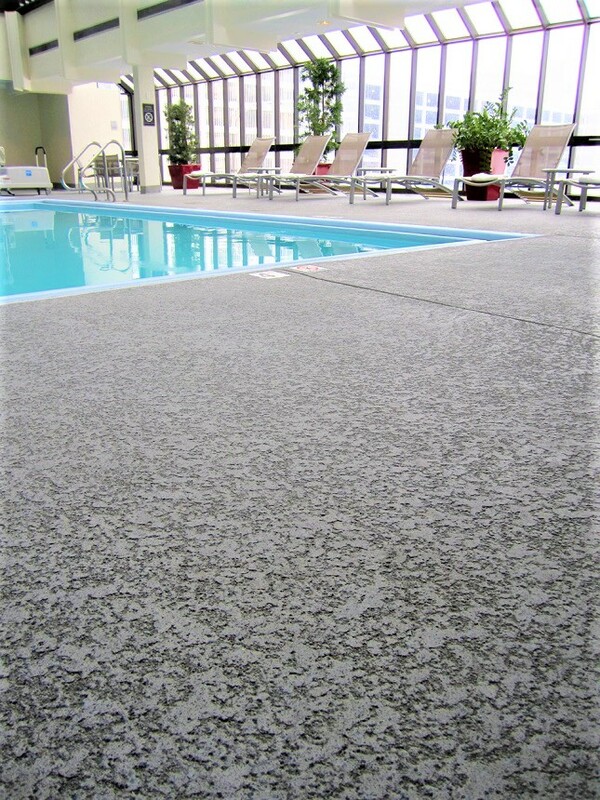 The texture creates air pockets that allow cool air to circulate. Spray texture comes in a variety of colors to choose from. 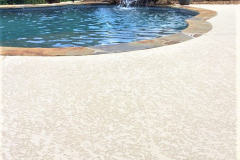 But aside from their own colors, it is also a stainable coating, perfect for custom images, graphics, patterns, and designs for resurfaced patios, pool decks, driveways and more. 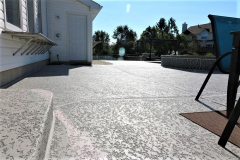 It is an ideal concrete repair option as it is effective in restoring the concrete and hiding minor surface damage and blemishes. 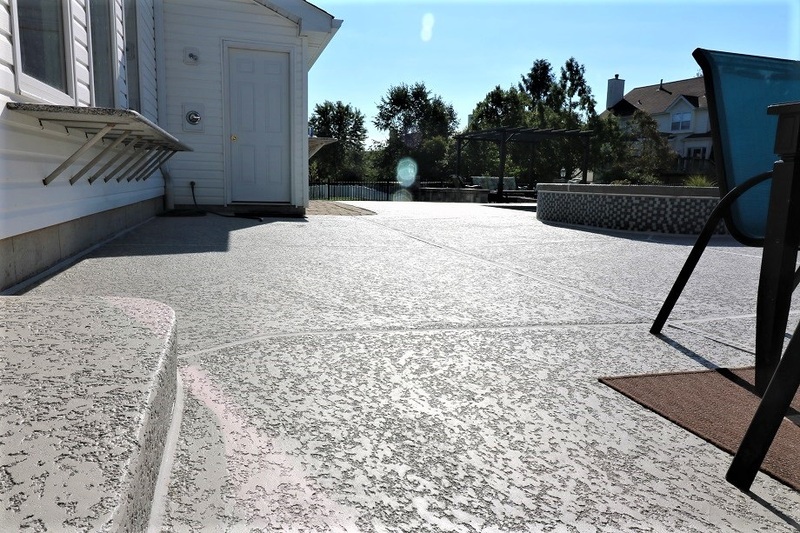 It is noteworthy to mention that a spray knockdown texture is an affordable alternative to high-end materials and complete concrete removal and replacement. 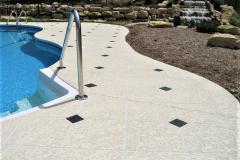 Looking to update your concrete pool deck? 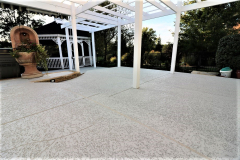 Call (317) 854-4529 to learn more about a spray-down cool decking. 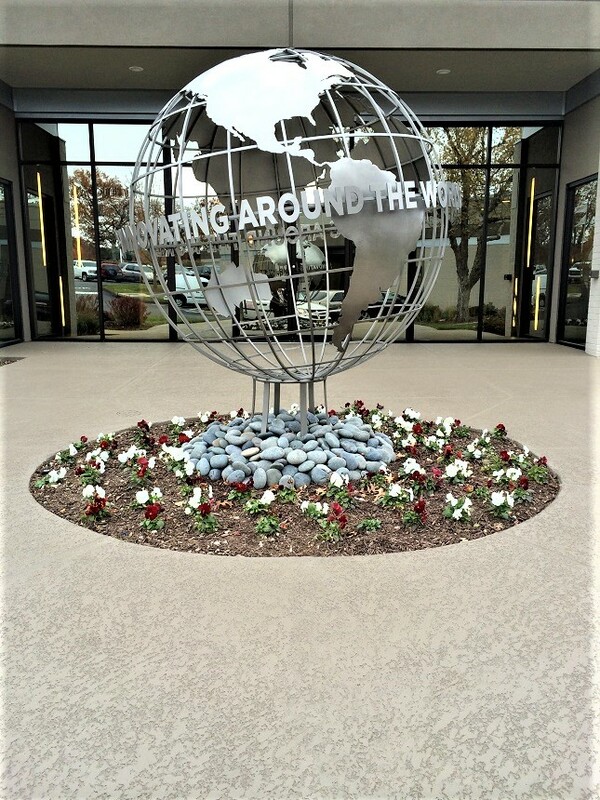 It is our mission to help people find the right solution to enhance or repair their outdoor concrete surfaces. 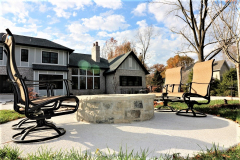 Indianapolis Concrete Artisans has been in the business for over 20 years, serving all of Indianapolis, IN. 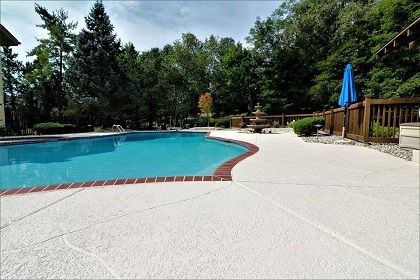 We know how stressful remodeling and concrete repair can be so we make sure that we only send out experts to help make your dreams come true. 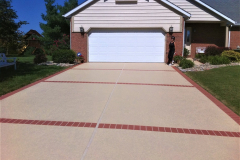 Call or email us today and we will schedule you for an in-home consultation and quotation, free of charge!